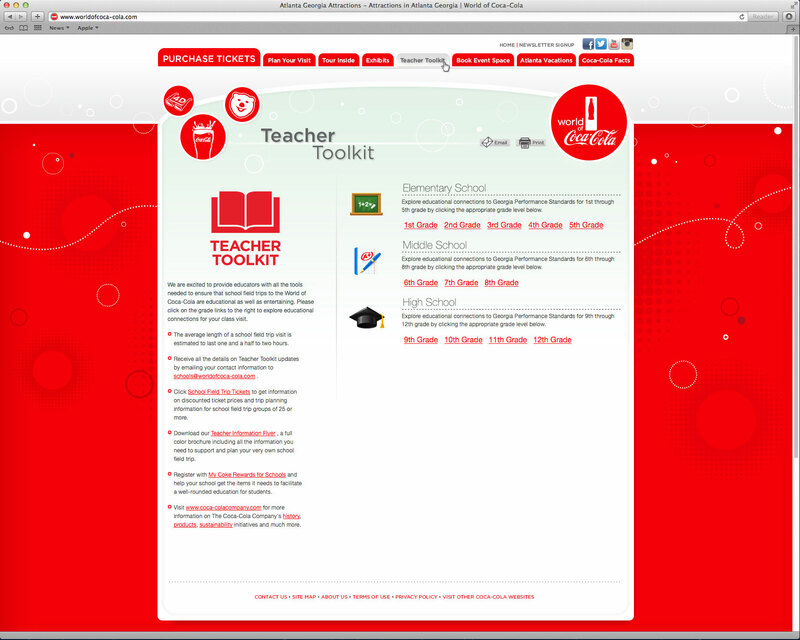 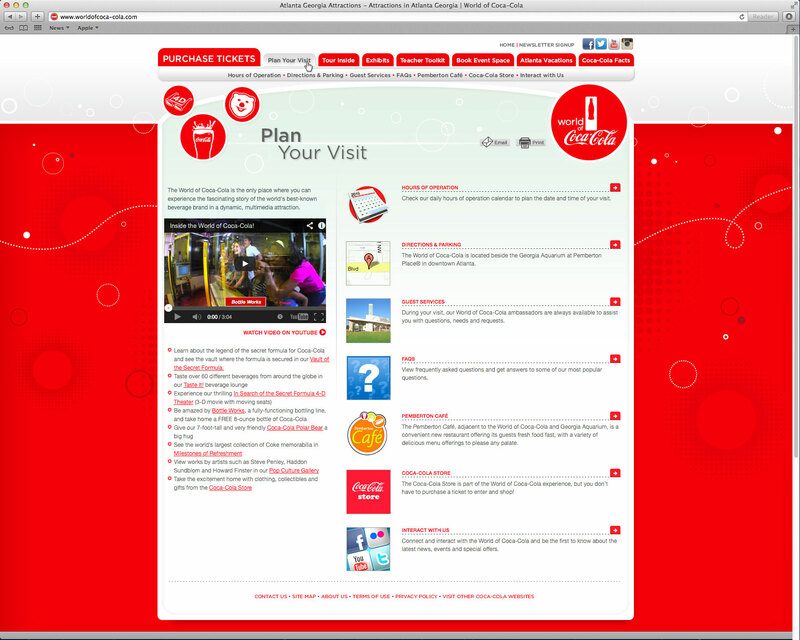 Update existing website look and feel without changing site infrastructure. 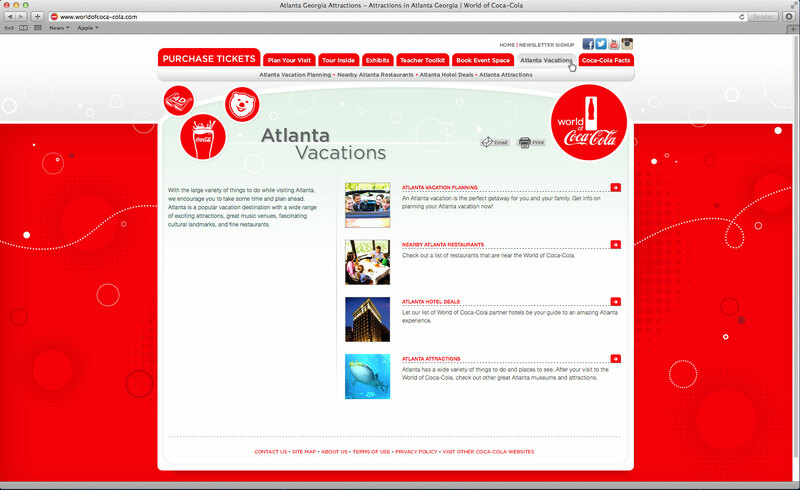 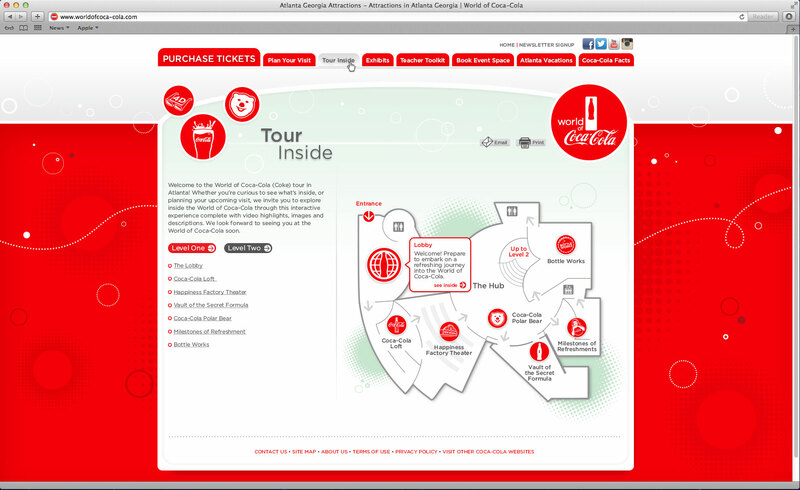 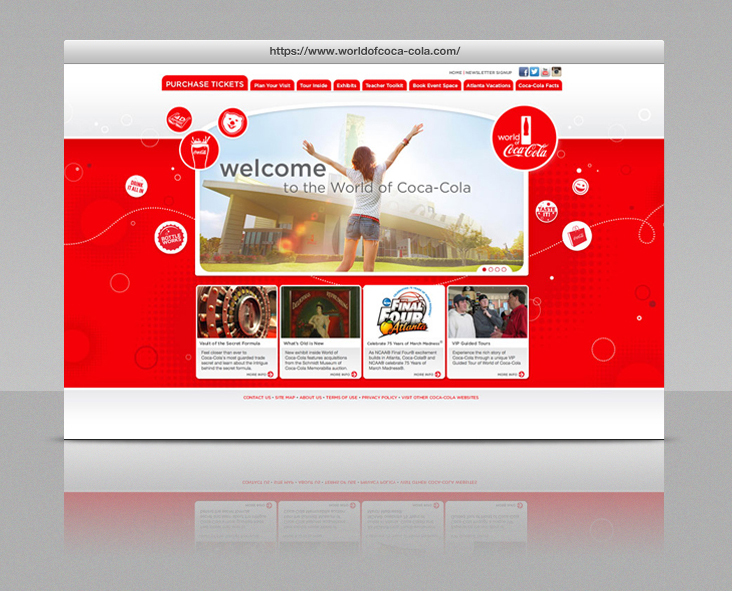 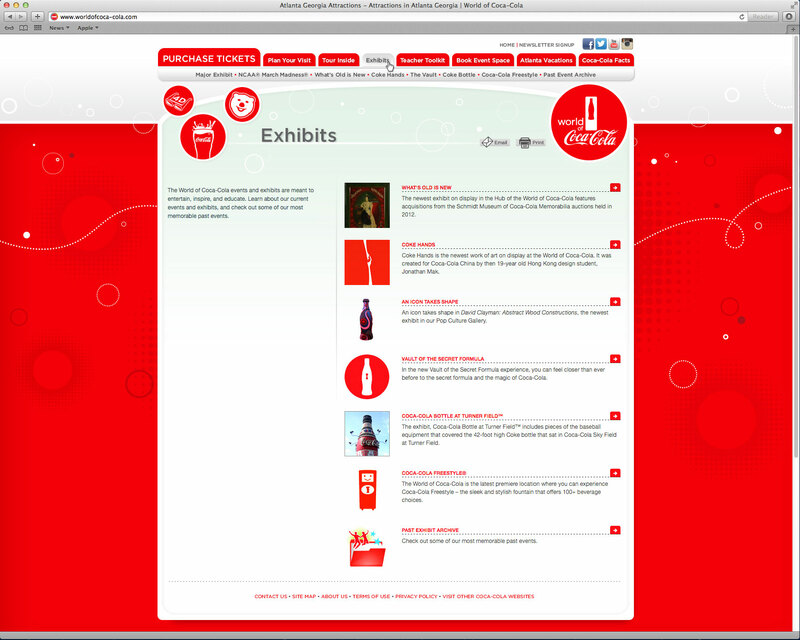 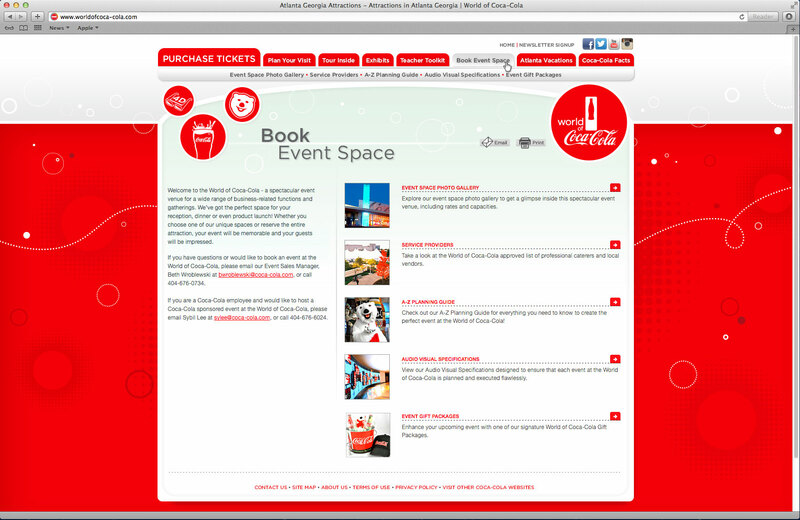 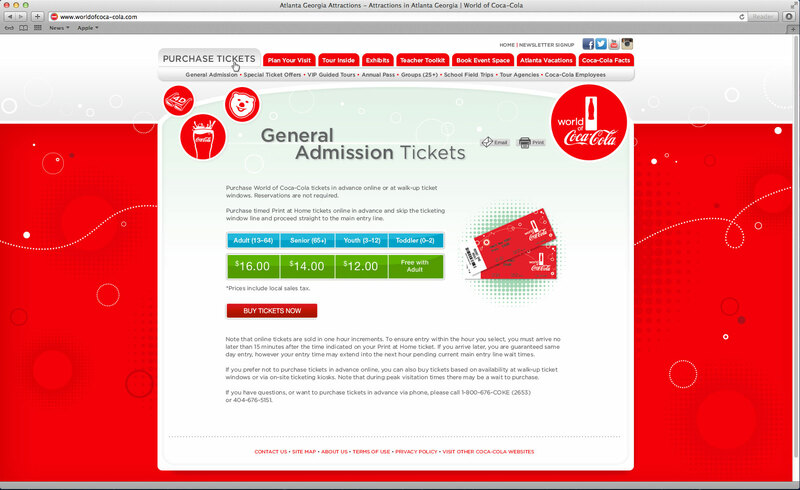 Introduce World of Coca-Cola’s branding update while keeping within the existing HTML structure and functions. 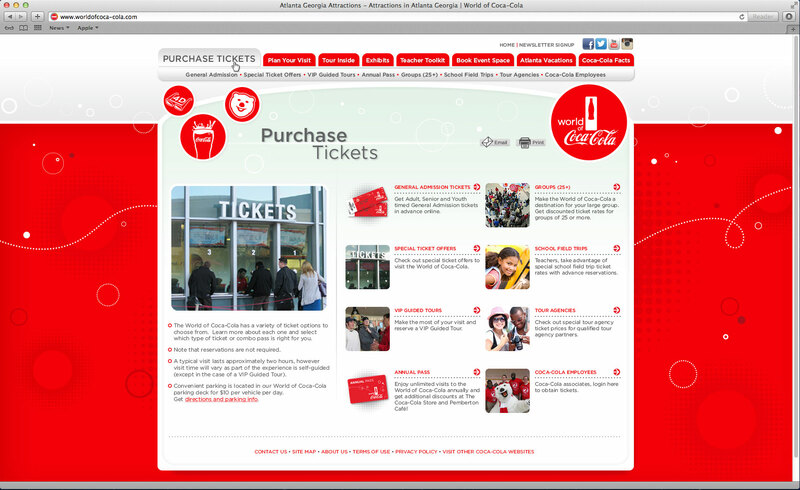 Analyzed the HTML structure to determine how to re-skin website with new look and feel. 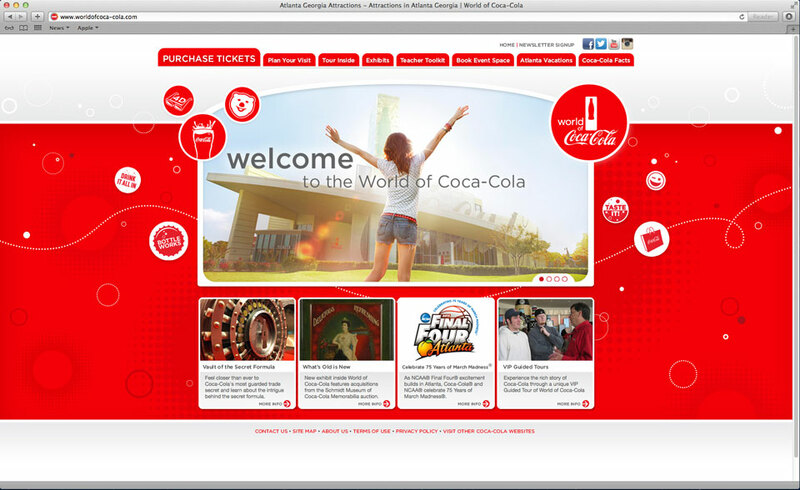 Refreshed the website using the new brand assets in ways to bring Coca-Cola’s refreshing, light, happy “feel” to life on screen.